I built this last weekend. My first test flights did not go well. Not sure what I'm doing wrong yet. For both @talls6and and @Txwarthog, whatever you build, film the maiden with a hat cam so we can help you if you have trouble. I'm a Tiny Trainer fan. I love that it comes standard with two wings, the 3 channel glider wing which is super stable and makes for a fine slope soarer trainer. When you bash that all to bits, the sport wing has ailerons for 4 channel flight and is much faster in the air. The polyhedral in the glider wing makes for a plane that won't roll. It's like a Weeble. It wants to stay upright. It's good for a beginner and great for catching thermals or a breeze but not much fun for aerobatics. I fly mine now with the sport wing on 3S with a 6045 prop (or 5030X3s if out of 6045s) and it's a good sporty plane. I'm on my second TT with its third sport wing and its second nose. 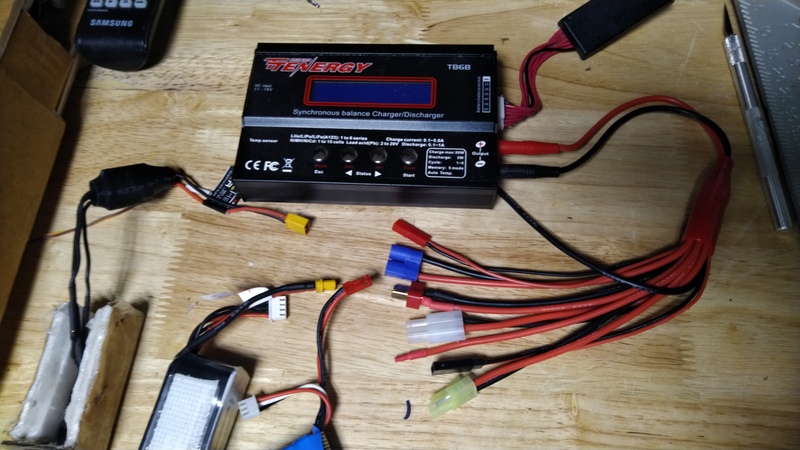 The first few and a ton of props and even a few lipos and escs having met with rapid unplanned disassembly events. When you build your first plane, the first maiden is the hardest, most infuriating part. If you film and post on your own build thread, we can often help you overcome challenges and get you in the air faster and cheaper. You don't have to do this alone and you help other newbies who maybe are lurking and haven't yet decided if this is something they can do. Whatever plane you build, start a build thread. Take pictures and shoot video. Ask questions. Build. Fly. Crash. That's scary for me. Here is a picture of my wires that seem backwards. Not sure if it up loaded. 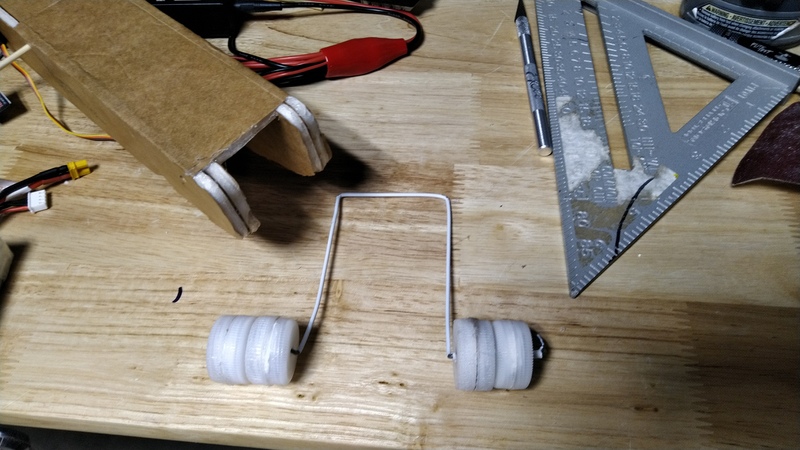 I made this nose gear, I don't know if its going to work or not. @Txwarthog, I truly think you want to create your own question thread. If you ask a mod, they can help you move your questions and pictures (which uploaded fine). I see a few challenges you have to overcome to get that baby in the air. Nothing really difficult, but the details should probably be done in your own thread where we can customize our answers to you. Not sure what I'm doing wrong yet. And check CG (and check it again) also go ahead and try a hand toss as Cranialrectosis suggested, once you prove it flies you can worry about take off rolls. All preflight tests checked out. It acted ok taxing with no wings kinda... It's hard to record a gif and man the controls at the same time. I'll start my own post next time I get back into it.